Accredited CNA classes in Ohio must offer a minimum of 75 hours of instruction (including 16 in both clinical instruction and classroom study) in order to satisfy the requirements of the Ohio Department of Health and federal regulators. The average full-time student can usually finish his or her coursework in 8 to 13 weeks. To gain acceptance into an accredited program, an individual needs to hold a high school diploma or its equivalent and be at least 18 years of age. Some institutions may hold additional requirements as well. Once a student has finished the required hours in a CNA program, he or she has 24 months in which to sit for and pass the NNAAP examination. Should a CNA candidate be unable to pass both the knowledge-based and skills-based portions of these nationally-recognized certification test in the specified time frame, it becomes necessary for him or her to repeat their training in full. 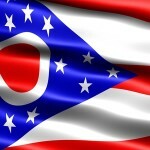 To legally work as a CNA in the state, it is required that a person be registered with the Ohio Nurse Aide Registry. With demand for nurses aides at a historic high across Ohio, students are able to find accredited CNA classes in Cincinnati, Cleveland, Columbus and elsewhere with relative ease.